Renovated 3 Bedroom home has side entry garage for nicer curb appeal. Newer roof and upgraded kitchen with granite counters, cherry cabinets and stainless appliances. Main bath was also upgraded with granite counters and cherry cabinets. Large cozy family room has propane heated fireplace. Living room has scenic bow window. Entertain from your composite deck overlooking your private back yard with beautiful evergreen trees and colorful plantings are nearly ready to bloom. AND with NO neighbors behind you. Paver walkway through trellis leads from drive to deck. Back yard workshop with electricity and 2 car garage make this home very practical. Convenient walk to Wegmans or the Weiss shopping plaza for groceries or dining. Lower Hanover Township Taxes may give you a greater value. Zoned for Asa Packer Elementary School, newly built Nitschman Middle School and Liberty High School. The included home warranty also provides $150 worth of lock change outs. 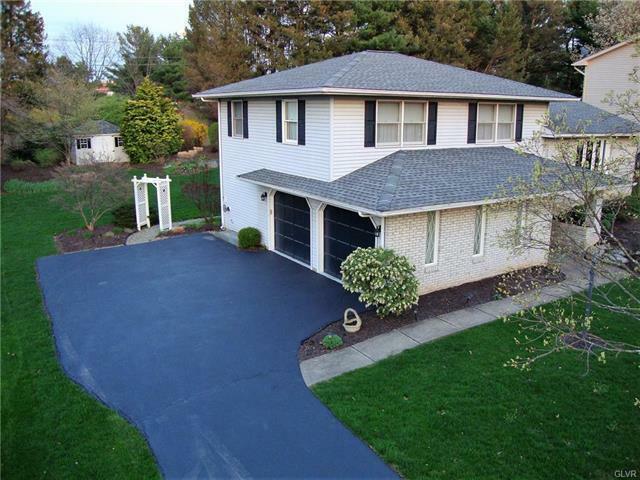 3878 Post Drive is a 3 bedroom, 3 bathroom Single Family home for sale in Hanover, PA. It's listed for $279,800 and it's been on ERA.com for 105 days. Built in 1987 , this property has a lot size of 13,504 Sq. Ft.. This listing is provided courtesy of BHHS FOX & ROACH - BETHLEHEM. Interested in seeing more Hanover homes for sale? Here on ERA.com, you can search for all Hanover MLS listings, save properties that catch your eye, and contact a real estate agent when you're ready to take the next step! Website provided and owned by ERA Rudy Amelio Real Estate.